Ask purchasers of specialty millwork products to name their top two buying concerns. Nine times out of ten, the answer is quality and time: getting a quality product, exactly when needed, as promised. We understand. 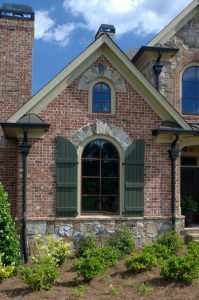 We’re ENVIROGUARD™ Rot Proof Windows & Millwork a one-stop source for all standard and specialty exterior millwork products from custom entry ways to double-hung and casement windows to decorative trim. Our customers are the leaders in the distribution of millwork throughout the country. We serve every stage of the distribution process–from manufacturers to distributors to dealers to contractors–all sharing our philosophy of quality, taking care of the consumer and standing behind their products. As a division of Precision Millworks, Inc.™ since 1989, ENVIROGUARD has become the recognized leader in quality, innovation, customer service and lead times. Combining old-world craftsmanship with advanced processes and technology, we create affordable beauty that performs. We believe in serving customers the way they deserve to be served. Quality, customer care and innovation are the starting point. It also takes craftsmanship, professionalism, flexibility and major investments in technology and processes. This commitment is the reason why more than 80% of our customers have been with us for more than 15 years. Customers know exactly what they are getting, when they will get it–and hold us to a higher standard than competition. Our results set the standards for specialty millwork. ENVIROGUARD is big enough to handle any order (whether it’s five or five thousand units). Yet, we are small enough to provide personal service, get to know you and your needs, and meet your tightest deadlines. We ask the critical questions and have the capabilities to do the job quickly–and right–the first time. Cellular PVC Windows -The double-hung window is the most common style of window available, consisting of two window sash. 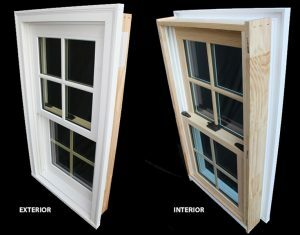 Both upper and lower sash slide up and down on a double-hung window. Fixed Window - A fixed or stationary window is one that cannot be opened, whose function is limited to allowing light to enter. Fixed windows can look like traditional double-hung windows (just without the moving sash), large picture windows, or specialty windows including radius, round, arched or oval windows. 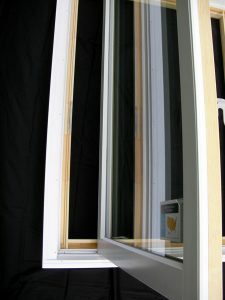 Transom and sidelite windows are also types of fixed windows. Casement Windows - Casement windows are a classic style of décor that open out to the exterior rather than sliding up and down. Attached to the frame, or sash, from the top or side, they open either partially or fully, depending on the design. Hand cranks extend the framed glass by turning a shaft on the bottom or side of the unit as much or as little as desired. Casement windows (case windows) are typically used to maximize sunlight and accent a panoramic view. In addition, casement windows make obstacles like sinks, countertops or appliances much simpler to maneuver around by having one easy-to-access handle to turn or push. Radius, Round and Arched Windows - The radius window is one of the most stunning windows we make. With our old-world craftsmanship heritage, ENVIROGUARD™ radius, arched and round windows are an unmatched combination of affordable beauty and dependable durability.